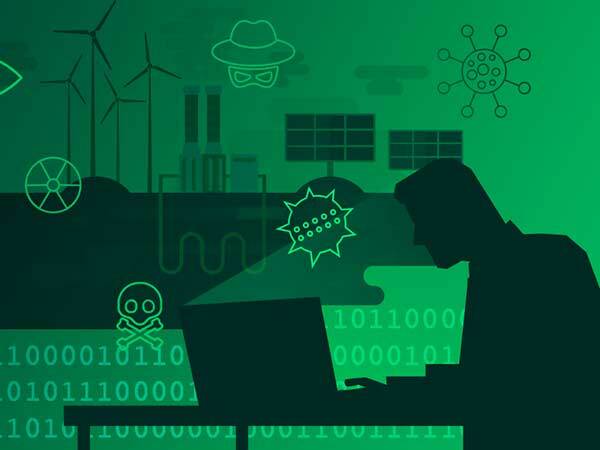 If you are in any way part of the world of technology and business, you would be aware of how much cybercrime and cybersecurity threats that have evolved in the recent past. The concern for data security around the world is all-time high as the world has witnessed cyber breaches at the highest levels. Benjamin Netanyahu, the Prime Minister of Israel simulated a cyber-attack to demonstrate the cybersecurity challenges. He addressed his nation and called on to collaborate for the most sensitive system of a nation that can shatter the complete economy by gaining the access of bank account holders, Government securities and defence system of the nation. Such is the importance of cybersecurity. If we look at the brighter side, businesses and corporates are scaling up their artificial intelligence aura. In a recent report by Gartner and Deloitte’s AI in the enterprise have reported that companies are stepping up in the usage of artificial intelligence to 33% from 17%. And 82% of the AI adopters are have reported an impressive ROI. But, on the other hand, the reports also indicated that 32 percent of the businesses have experienced cybersecurity breach. As a result, they were hesitant to continue and have slowed down their initiatives. This makes artificial intelligence a double-edged sword. In one hand artificial intelligence and machine learning algorithms make a strong barrier between digital systems and cybercriminals. On the other hand, artificial intelligence can be used in a malicious way by cybercriminals to gain unauthorized access. They can now develop more robust and seamless attacks. Hackers are busy in creating artificial intelligence augmented attacks that are hard to detect and halt. The cybersecurity teams are looking towards AI as a strong armour to shield against cyber-attacks. AI helps the cybersecurity teams to be at a step ahead of the cyber-attacks. The security analysts have to be always ready against any type of attack, loopholes and security breach. Artificial intelligence and machine learning algorithms can learn from past attacks. This makes the new security algorithms more adaptable and improved version of themselves. Artificial intelligence algorithms can detect new patterns and unusual activity that deviates from the normal pattern. Machine learning algorithms can speed up the response time as soon as it detects any potential threat and makes the data inaccessible by adding more security layers at the runtime. AI algorithms immediately alert the authorities concerned. AI can also identify the type of malware and also red flags the malware that is new or hasn’t been detected in the past. AI and machine learning based technology help in accelerating incident detection. This means, doing a better job of correlating, curating and integrating the system with security alerts to create an incident detection pattern. Cybersecurity was considered as a defence mechanism to detect the breaches and loopholes in the security system. This paradigm has been reshaped through the recent advancements in artificial intelligence. Cybersecurity teams are now able to predict the attacks and suppress even before they happen. Data discover helps in providing a better insight into the security networks. By using the artificial intelligence and machine learning algorithm, cybersecurity experts can build models for the supervised as well as unsupervised purposes. Supervised models can take advantage of datasets for which the outcomes are known and help in filtering the algorithms that drive the outcome. Unsupervised learning does the same thing but, in this case, the outcome is unknown. But there is not a lot of labelled data in cybersecurity, so a balanced combination of both the approaches is implemented by cybersecurity experts. CAPTCHA has become an essential tool on the internet that allows applications to differentiate between humans and robots. The visitors are presented with the images or texts which only humans can identify. By using artificial intelligence, bots are able to solve captcha accurately 98% of the time. More than 75% of organizations fell victim to the phishing attacks. Many organizations have also implemented high-end programs as protection against phishing. But artificial intelligence enabled phishing attacks can easily bypass the security layers. Attackers can frame messages that will produce a high degree of success rate. Social media enabled phishing attacks uses artificial intelligence to identify the valuable targets and frame messages on the basis of their profile, history, and interests. Hackers use scripts and toolkits to develop and distribute malware. But the cyber defence has become more intelligent and sophisticated. Attackers are now using artificial intelligence to increase the effectiveness of the attacks. They can perform checks to identify the hardware configuration and the environment of the victim and can also check if a human is operating the machine at the time of the attack. Weaponized artificial intelligence attacks are fatal and can do more damage by breaching the security layers. Finding security loopholes and vulnerability in the software is a very time-consuming process. Artificial intelligence has automated the process of software security vulnerability detection. AI tools can scan through the networks and find out the possible weak links that can let the attackers breach the security. AI programs are able to find the vulnerabilities that can take the entire system down. Artificial intelligence is truly a double-edged sword in the cyber security domain. This is a perfect example of how AI can be used for good and for evil. Research teams have been working to eliminate the blind spots in the machine learning algorithms and eliminating the weaknesses. Thus, the combination of AI and cybersecurity is necessary to stay ahead of the cybercriminals and cyber-attacks. 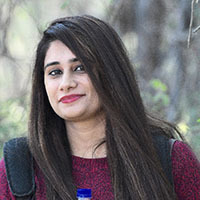 Kirti is a Data Scientist working with Webtunix AI . She is very enthusiastic about learning Deep Learning AI and Artificial Intelligence and is always happy to share her knowledge with beginners who want to start their career as a Data Scientist.